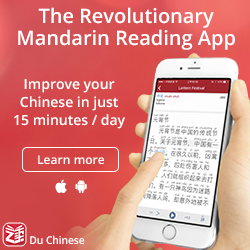 The read more Chinese or die challenge is in full swing (and no, it’s not too late to join), so to keep people inspired and perhaps also help you find reading material, several articles focusing on reading will be published here on Hacking Chinese, all of them written by people other than me. This first article about wuxia is a very good example of an article that I could never have written myself, because although I read a lot, I don’t read much wuxia. Sara K., on the other hand, does. After reading this article, I know I want to read more wuxia and I hope that you will too. Of course, even if the focus this month is on reading, don’t forget that wuxia isn’t limited to books and comics! Why is wuxia relevant to Chinese learners? Short answer: Chinese martial arts fiction featuring heroism, usually set in imperial China. Long answer: A few wuxia movies, such as Crouching Tiger Hidden Dragon and Hero, are famous in the English-speaking world. While I don’t think these movies are the most representative of the genre, they are genuine wuxia, and anyone who has seen them already has some idea of what wuxia is. Sometimes, I see ‘wuxia’ translated into English as ‘tales of chivalry’. Wuxia stories are not ‘tales of chivalry’. ‘Chivalry’ is based on a medieval European code of conduct for knights, who were almost always of noble lineage, and was about maintaining the feudal system. Most wuxia heroes come from the peasant class, and would not mind taking the aristocracy down a notch. The ‘xia’ in ‘wuxia’ does not mean ‘chivalry’, it means standing up for what is right. To give you a sense of what ‘xia’ really means, note that Batman’s Chinese name is 蝙蝠俠(‘The Bat Xia’) and that Spiderman’s Chinese name is 蜘蛛俠 (‘The Spider Xia’). Comic book superheroes are much closer than Sir Lancelot to being wuxia. Just because many wuxia stories are set in medieval China does not mean they are the equivalent of tales set in medieval Europe. If one must find an equivalent in medieval Europe, the obvious one is Robin Hood, though I’d like to note that in Robin Hood, King Richard is usually depicted as a good guy, whereas in wuxia fiction, the emperor of China is generally, at best, a neutral party or a very grey character. Being strongly tied to a specific culture/country. Though there are spaghetti Westerns and wuxia books/comics/TV shows from southeast Asia, Westerns are almost always strongly tied to the United States, and wuxia stories are almost always strongly tied to China. Other genres, such as science fiction and romance, are not married to a particular culture/country. However, any comparison between wuxia and non-Chinese fiction must be limited, because wuxia arose in the Chinese-speaking world, and it could have arisen nowhere else. Wuxia rides on Chinese-speakers’ history, ethics, medicine, ecology, philosophy, hopes, dreams, and nightmares. For more description, head over to TVTropes (though note that I do not agree with everything said there). While there is debate about when/how the wuxia genre emerged, most people would say that it reached maturity in Republican China in the 1920s and 30s, when it was the most popular genre of Chinese fiction. 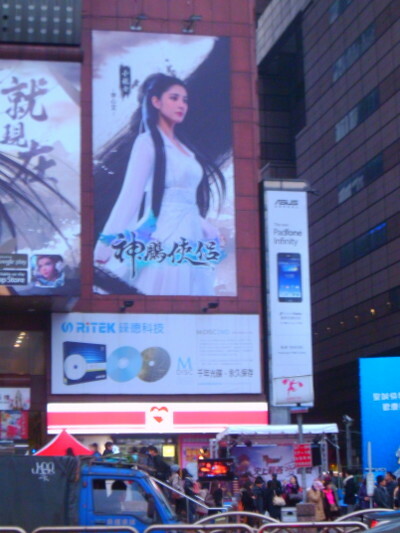 Wuxia was part of the national conversation about how to be Chinese in the modern age. For example, a prominent 1920s’ writer, Xiang Kairan, was also involved in promoting traditional Chinese martial arts and incorporating ideas from science and European athletics. I think this period of Chinese history left a powerful mark on wuxia, even decades later, in both the openness to new ideas, and the cynical outlook. Of course, as with any popular genre of fiction, there have been people saying that it is bad influence: it’s too violent, it’s anti-Confucian, it’s just for juveniles, etc. As a non-Chinese person, I don’t completely get the stigma of wuxia, but then again, popular genres such as science-fiction, romance, and YA get stigmatized outside of the Chinese speaking world. Even after the People’s Republic of China banned wuxia, and the Republic of China (Taiwan) put it under heavy censorship, wuxia continued to be wildly popular – if anything, government censorship made wuxia even more appealing. Where wuxia writers had the freedom to do so (Hong Kong), they sometimes used wuxia as a platform to criticize politics and society. Though wuxia TV shows and movies continue to be very popular, wuxia novels (from which most TV shows and movies are adapted) supposedly went into decline in the 1980s. What this really means is that, instead of being a mainstream genre, it became a thing mainly for geeks (though mainstream readers are generally still familiar with the ‘classic’ wuxia novels). Here is one reason: wuxia is so deeply woven into Chinese-speaking culture that at times you won’t understand what people are saying without some familiarity. Here is an example; in the movie Seven Days of Heaven, which is a Taiwanese movie set in contemporary Hong Kong and Changhua, a character at one point says 「小龍女從法國打電話回來了」 which roughly means “Xiaolongnü is calling from France”. Most adult Chinese learners would wonder what ‘Xiaolongnü’ means. However, most native Chinese speakers over the age of 10 know exactly who Xiaolongnü is: she’s a is a mysterious beauty and dangerous sword fighter who grew up in the Tomb of Living Death (活死人墓). In addition to fighting with swords, she can use poison gold needles, and attack people with the sashes of her sleeves. In spite of her chronological age, she always looks like she’s sixteen years old – it’s implied that her body does not age because she’s not entirely alive. She’s like Sleeping Beauty, except she’s not asleep and is a dangerous martial artist. A big poster depicting Xiaolongnü across the street from Taipei Train Station. Generally, if you see a beautiful maiden wearing a white dress who looks like she’s from pre-modern China, you’re probably looking at Xiaolongnü. So why is this movie dropping a reference to Xiaolongnü? It’s more poignant (and succinct!) to say ‘Xiaolongnü’ than to say ‘the person who is so much at the center of your existence that you wouldn’t want to live without her, yet she is beyond your reach’. When I read in English “I thought mentioning [something] was just like saying ‘Voldemort’”, I understand it because I’m familiar with the plot of Harry Potter. The most popular wuxia stories have also reached the stage where Chinese speakers will drop references to them and expect to be understood. Name-dropping manifests something deeper: wuxia is an integral part of Chinese-speaking culture. You will probably never encounter enough name-drops to justify learning about wuxia for that reason alone … but wuxia is thoroughly Chinese in a way that no other genre of fiction is, which makes it an excellent vehicle for getting into the minds of Chinese-speakers. I have learned a great deal about the subtler nuances of the Chinese language by reading lots of wuxia, some of which I don’t think I could have picked up by reading literature-in-translation. Wuxia offers many paths to get to know Chinese culture better – for example, I can look up the various places mentioned in the novels and improve my understanding of Chinese geography, I can look up the herbs used and learn something about Chinese traditional medicine and botany (that’s how I learned about a very cool plant called ‘gastrodia‘), I can look up the actors who play Characters Y and Z, and see what other TV shows/movies they acted in… and so forth. Of course, I ignore all this most of the time I do because there are only so many hours in a day, but I think that because wuxia connects to so many aspects of Chinese culture and society, it is an excellent node for one’s knowledge web. Then there is the way that being familiar with wuxia changes my relationship with native Chinese speakers. When I reveal that, yes, I have also read [famous wuxia novel], it cuts down the mental distance between us. Some native Chinese speakers think this is wonderful, others are not comfortable with the fact that I’ve shared that part of their head space, but it always makes me less of an outsider. 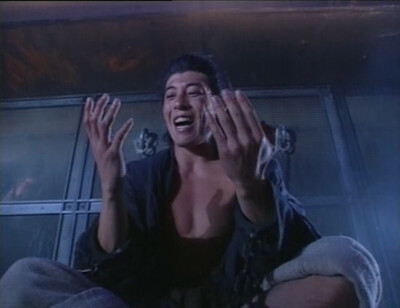 However, by far the most important benefit wuxia has for me is that it makes me much more motivated to study Chinese. I think the above reasons are enough for all Chinese learners to at least learn about wuxia, but I think the possibility of turning into a wuxia fan is the biggest reward. If you turn into a wuxia fan – as I did – you suddenly have enough material that you’re motivated to read/watch to keep you going for a long, long time, and since very little of it is available outside of Chinese/Vietnamese/Thai/Indonesian/etc., you have to read/watch it in Chinese (unless you understand one of those other Asian languages). Not everyone loves wuxia, and if reading/watching a couple stories fails to pique your interest, then drop it. But if you don’t try, you can’t know whether or not wuxia suits your tastes. I should also note that the Chinese in an wuxia novel is going to be a bit different from, say, contemporary conversational Mandarin, just as the language in a Tolkien novel is a bit different from what you’ll hear in a California high school. 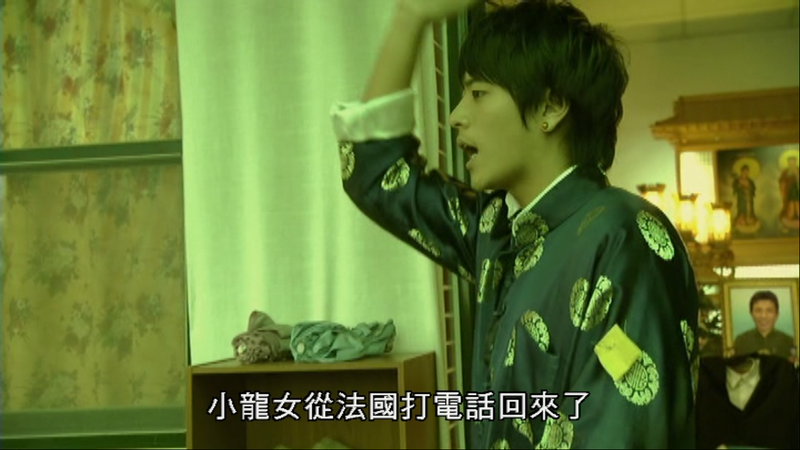 For example, just this morning I was watching a TV show, and I repeatedly heard ‘他圓寂了’. That a literary way of saying ‘he’s dead’. Reading/hearing the much plainer＇他死了＇ is also common in wuxia (in fact, it’s more common than ‘他圓寂了’), but it’s still an example of how the language can be different. I learned the language simply by reading, looking up stuff I didn’t understand, and putting the new expressions into my SRS. However, it might be a good idea to learn many different ways of saying ‘die/kill’ in Chinese, because it’s generally important when a character dies. I think learning other specialized vocabulary is generally not necessary to understand the story (and if it is necessary, it will probably get repeated a lot). Editor’s note: I have added links to the relevant entries on youdao.com. Not all of these terms mean the same thing (for example, some only apply to young people who die, and some only apply to old people who die) so you should look at the dictionary entries. Of course, the best way to learn these terms is to see them in context. Classical Chinese has a way of sneaking into wuxia, and occasionally there’s even entire poems written in Classical Chinese. I have an easy technique for dealing with classical poetry – ignore it. It’s never interfered with my enjoyment of the novels. 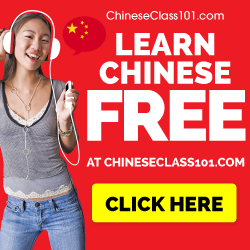 As far as Classical Chinese words being mixed with Mandarin – you can learn it like you would learn other unfamiliar vocabulary, or you can ignore it. Finally, the language difficulty runs the whole range from novels which consist mostly of simple short sentences to works full of sophisticated wordplay. Obviously, the former is a much better place to start. How to get started with wuxia? Find a native speaker to talk to. Ask them which wuxia stories they have read/seen. Ask them to describe an wuxia story to you. Repeat with another native speaker. You will learn something about Chinese-speaking culture, and it might motivate you to study Chinese harder, just as looking at photos of delicious food might motivate you to improve your cooking skills. You can also look into the limited range of wuxia available in English (or any other language you understand). Movies are most likely to be available in English. 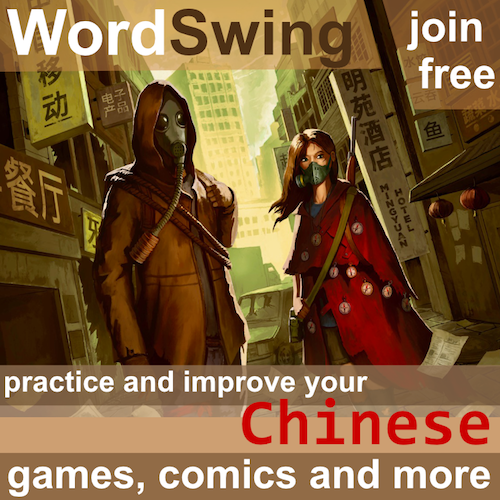 For lower-intermediate learners, my advice is pretty much the same as for beginning learners, though one can be a little bolder – for example, checking out the Chinese version of one of the above websites, or trying to read/watch a bit of wuxia in Chinese. I think it’s good to read comics and/or watch a TV show/movie before proceeding to novels, because a lot of things which happen in wuxia stories are much easier to understand visually than verbally, especially to people who are new to ideas such as 輕功. I think that ‘reading a wuxia comic book’ and ‘reading an easier wuxia novel’ are roughly equivalent in difficulty. It of course depends on the comic book and the level being compared, but a comic book adapted from a Jin Yong novel is going to be at least as hard to read, if not harder, than a Gu Long novel. Go read a novel or watch a TV show or play a computer game. I think advanced learners main concern should not be the difficulty of the language, but how accessible the story itself is. Is the story fast-paced and suspenseful, or does it drag a lot at the beginning (i.e. is it The Heaven Sword and Dragon Sabre/倚天屠龍記 where the main protagonist isn’t even mentioned once in the first 250 pages of the novel)? Does the story require familiarity with wuxia tropes, Chinese history, etc., or could my mother get it (if she suddenly knew Chinese)? Is it a good story? These are concerns for intermediate learners too, of course. And just like beginning learners, advanced learners should also have some background knowledge, especially before tackling the more difficult novels. I think this list offers a decent introduction to wuxia movies. I have not seen too many wuxia TV shows, but one show I cannot recommend highly enough for advanced learners is State of Divinity (笑傲江湖) starring Jackie Lui (呂頌賢). People who have seen far more wuxia TV shows than I claim it’s one of the best ever made. I would go so far as to say, if you’re only going to watch one Chinese language TV drama of any genre in your entire lifetime, it should be this one. This quote from episode 24 not only captures the essence of the TV show, but represents the mood of many, many, many wuxia stories. It’s hard to tell which novels are more or less suitable as an introduction to wuxia if you haven’t read them, and if you’ve read a bunch of wuxia novels, you are not a newcomer. That’s why, in my next article. I will introduce five wuxia novels which are good starting points for learners of Chinese who have never gotten into wuxia before. Stay tuned! WuXiaPedia !!!! I love it. For some reason I have preferred Japanese comic books with Chinese language – in particular Doremon and Detective Conan. Doremon has always attracted me for the amount of fantastic creativity that goes into all the silly gadgets he comes up with. Conan is just a great ‘who-dun-it’ series with excellent art work. When I do go to a comic book section in a book store, I am confronted by a huge wall of comic books with volumes running into the hundreds. What I am primarily after is socially acceptible dialogue. The high frequency lexicon that I might use in everyday. Knowning about ‘little dragon girl’ can be useful, but the characters of pop culture can be hard to keep up with. I am not sure where this all may lead. 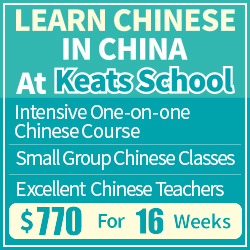 Geography is an important part of studying Chinese. For instance, China’s new aircraft carrier is named LiaoNing after a Chinese provence of great fame. Do some research to find out why. Chinese medicine is a whole seperate lexicon. I started with that 30 years ago and have read quite a bit. But I wouldn’t say that it will get you very far in chit-chat over a dinner table. My favorite herb is Hwang Qi or Astragalus… much better tonic that the over-rated ginseng. WuXia seems to get into a huge pop mythology of its own that I wasn’t aware of. Don’t forget the spcnet.tv forums, which have translations of tons of wuxia books. Excellent article and decent advice. As Chinese, I recommend you watching Wuxia TV drama produced by Hongkong(aka, TVB, Television and Broadcasting Limited)rather than mainland China. Most mainland Chinese give heavy criticisms to mainland produced ones, complaining the lack of Wuxia spirit. The theme musics from Wuxia drama will be extremely helpful for you to understand the artistic conceptions, at least it works for native Chinese. Every Chinese hearing such genre of music would temporally forget reality and shift himself into the world of Wuxia. As for ‘Xiaolongnü’, logically it’s clear that this person is not alive meaning she can’t exist in real world, yet you have to have a knowledge of Taosim philosophy to understand what this person really implies. This rule applies to almost every major character in Jinyong’s novel. Without the knowledge of Chinese philosophy of Confucianism and Taoism, especially Taoism, it will be impossible to understand what author really expresses in his words.